An American entrepreneur, he is the co-founder of the peer-to-peer file sharing company Red Swoosh. He is also a co-founder and CEO of the transportation network company, Uber, a ridesharing service that serves customers in North, Central, and South Americas, as well as Europe, the Middle East, Africa, and the Asia Pacific. The company has raised almost $7 billion, including debt financing, from investors, who have valued the private company at more than $50 billion. In 2014, he entered the Forbes list of the 400 richest Americans at position 290, with an estimated net worth of $6 billion. He was born in Los Angeles, California and later lived in Northridge, California, where he graduated from Granada Hills High School. He enrolled in college at the University of California, Los Angeles, to study computer engineering. His mother, worked in retail advertising for the Los Angeles Daily News, and his father, was a civil engineer for the city of Los Angeles. In 1998, he dropped out of UCLA with some of his classmates to found Scour Inc., a multimedia search engine, and Scour Exchange, a peer-to-peer file sharing service. In 2000, the Motion Picture Association of America, the Recording Industry Association of America (RIAA) and the National Music Publishers Association (NMPA) brought a lawsuit against Scour, alleging copyright infringement. In September of that year Scour filed for bankruptcy to protect itself from the lawsuit. In 2001, along with Scour's engineering team, he started a new company called Red Swoosh, another peer-to-peer file-sharing company. Red Swoosh software took advantage of increased bandwidth efficiency on the Internet to allow users to transfer and trade large media files, including music files and videos. In 2007, cloud computing company, Akamai Technologies acquired the company for $19 million in stock. In 2009, along with Garrett Camp, he co-founded Uber, a mobile application that connects passengers with drivers of vehicles for hire and ridesharing services. Formerly known as UberCab Inc. its name was changed to Uber Technologies, Inc. in October 2010. The company provides a smartphone application that connects drivers with people who need a ride. The company’s application enables users to arrange and schedule transportation and/or logistics services with third party providers. Uber operates in 58 countries and in more than 300 cities around the world. Uber faced some controversy in some cities in North America, including Washington DC, Chicago, Toronto, and New York City. The company faces fierce competition from similar services and "clone companies" in some cities, including London and New York City. 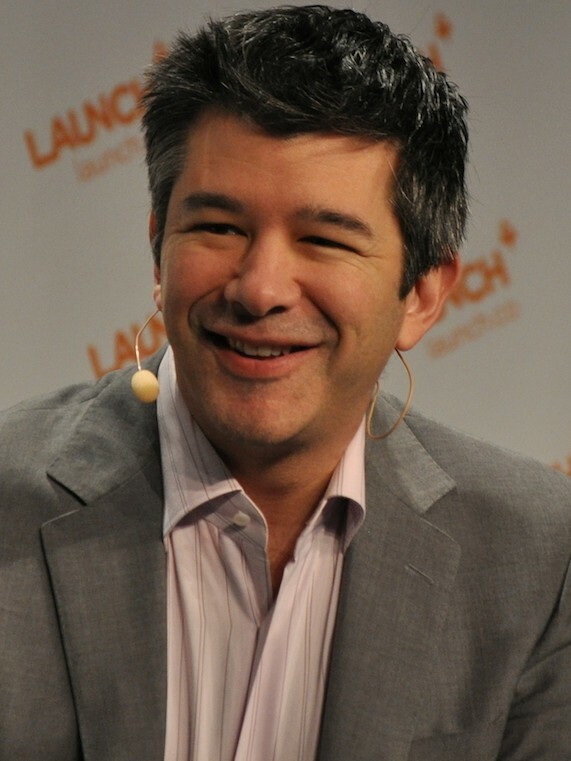 In November 2014, he faced criticism for creating a "win at all costs" culture in his Uber organization. Public relations problems the firm faced included his comments to GQ about how easy it is for him to attract women now, concern about his blasé attitude regarding safety issues for female customers, and his toleration of executive Emil Michael, who recommended creating a large budget to smear critics. While he apologized for Michael's remarks, he did not censure him severely enough to appease some critics. He speaks at conferences and business events, including TechCrunch Disrupt, Tech Cocktail, DLD, and LeWeb.